In an ideal world, you’d own warehouses close to every market you serve and operate them at low cost. But in the real world, the cost to invest in warehousing facilities can be high, making it seemingly impossible for some brands to do so. Our nationwide, synchronized network of warehouses empowers you to move products to stores quickly. More than 2 million square feet of warehouse space in the United States and Canada, including 7,500 square feet (and growing) of cold storage for craft beer and wine in Ontario, Canada is available. We’re ready to scale with you, all while saving you the costs of owning and operating your own warehouses. 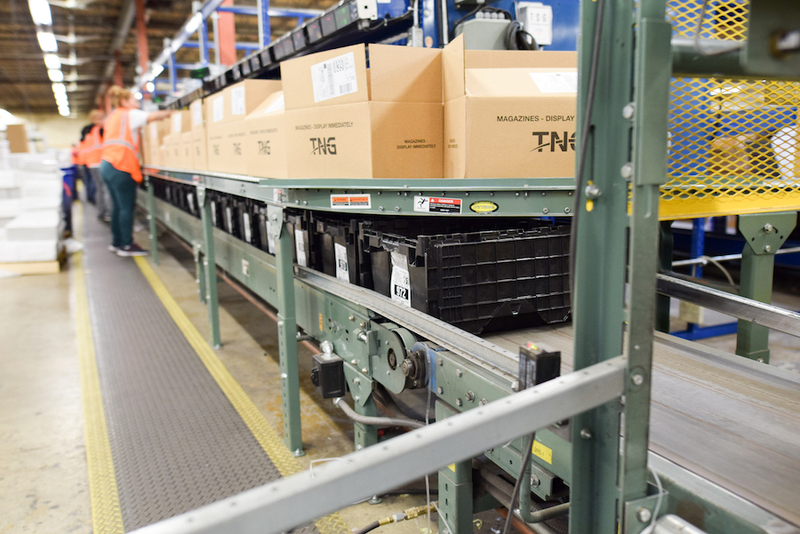 At TNG, we provide services for every stage of product movement from transportation to restocking. So we understand the importance of accuracy and on-time delivery when it comes to warehousing, and we’re driven to exceed your expectations. Our digital warehouse management system (WMS) ensures 99.8 percent pick accuracy, meaning we’ll get your order right the first time (and we always double-check to be sure). Our WMS follows the FIFO (first-in-first-out) method, so you’ll never run the risk of having old product in our warehouses. Got hundreds of customers in your markets? Thousands? We can handle that. We’ll develop the optimum routing for your deliveries based on your customers’ locations, which we map by zones. Our nationwide infrastructure of distribution centers and depots means we’re nearby, wherever you are. We also offer just-in-time (JIT) inventory services, so your customers will get what they need when they need it. Cost-effective, accurate, and fast warehousing. An ideal world, indeed. Do you offer automated invoicing and ordering (EDI)? Yes, we offer these options for most of our warehousing and distribution clients. Does TNG employ any environmentally conscious practices? How does TNG keep pick errors from leaving the warehouse? We perform a second verification prior to packaging and invoicing. If an error is identified, the item(s) are routed through quality control. Errors are found and corrected, and measures are taken to ensure that the error does not happen again. Our concern for the environment is why we strive to recycle 100% of the goods that are returned to us from customers. In Canada our delivery network is geo-routed, reducing the distance our trucks travel between distribution centers and depots, which reduces vehicle emissions. We don’t skimp on reverse logistics. We process returns at a 98 percent accuracy rate and can sort returns by SKU, manufacturer, or whatever you want. Streamlining your return process saves you in headaches and hard cash.